It's Bucket List time for my husband, Bruce Wheeler, and we're seeking your help with funding to help make a special dream come true for him. 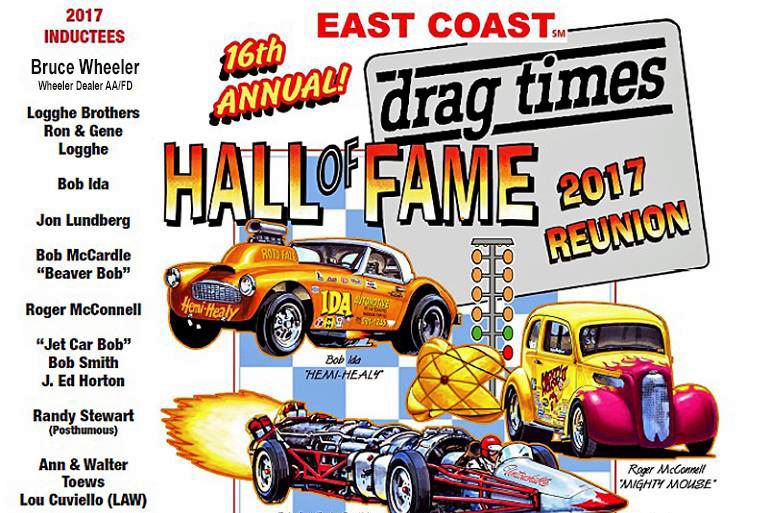 At 76 years young, Bruce is about to be honored with his induction into the 16th Annual East Coast Drag Times Hall of Fame, during an October 22nd ceremony, at Henderson, North Carolina. And, here's the kicker, Bruce has to be present at the ceremony in order to be inducted. As most of you know, we have a good life in Maui, but we continually live on a shoe string budget. (The last trip we took to the Mainland was nine years ago!) So, here we are, swallowing our pride, and asking for your help in covering the many expenses of this Dream Come True Trip. A little back story -- Bruce and I hooked up in San Francisco, in 1975, when he was working in the music biz, but, before we met, he had a previous lifestyle as a well known professional East Coast drag racer. Between 1967 and '69, his two Wheeler Dealer AA/Fuel Dragsters were always among the crowd favorites wherever they raced, with a better than average win/lose record, and some stellar on-track performances to boast about. He is often viewed as a "pioneer" of the sport. By the time we met, Bruce had already been a music industry professional for a few years, and, after moving to Maui 34 years ago, he changed direction yet again, this time becoming a professional wedding photographer. These days he's an avid follower of the very popular nostalgia drag racing scene on the Mainland, and he combines his passion for both photography and drag racing while shooting the monthly drags action at Maui Raceway Park. When his nomination for induction into the 16th Annual East Coast Drag Times Hall of Fame presented itself, Bruce was thrilled. He said to me that he felt he had one more trip in him and whatever it took, he wanted to get to North Carolina this year to receive this honor, which brings us to this GoFundMe campaign. We would greatly appreciate any assistance you could offer, no matter how large or small, and we will both be eternally grateful! As we say in the Islands, mahalo nui loa... thank you very, very much from the bottom of our hearts!!! Bruce is so very grateful and excited by the generous gifts that are being given by you! Mahalo! We are getting there!